Caesar Salad was originally invented by Caesar Cardini, an Italian restaurateur who immigrated to the United States early last century. It is typically made of romaine lettuce, garlic, croutons, Parmesan cheese, anchovies, and a dressing made with a coddled, or just heated and barely cooked, egg, Worcestershire sauce, pepper, and lemon juice. This dressing is nothing like the original - it is better and more versatile. And you don't have to worry about food poisoning from raw egg. I like to add some herbs to the dressing; oregano and thyme are perfect, but you could also add basil or marjoram. You could add a smashed anchovy to the dressing if you like them. Like all homemade mixes, it's best if you use the freshest ingredients you can. If the bottle of oregano leaves doesn't knock your socks off when you smell it, throw it away and buy a new one. The Parmesan cheese should be freshly grated, not something from the store, and especially not that stuff in the green can. The ingredients you put into these mixes, especially salad dressing mixes, determine the quality of the recipes you make with them. You can use this dressing to make pasta salad or serve it over plain greens. It's also delicious drizzled over roasted asparagus or steamed green beans. 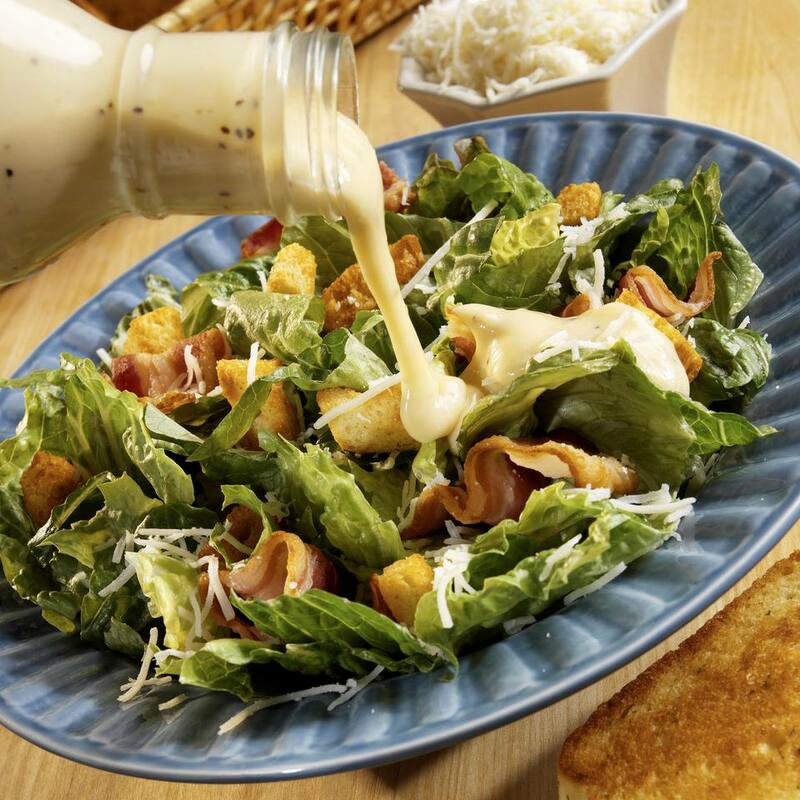 Or use it in place of the traditional Caesar salad dressing, tossing it with croutons, romaine lettuce, and freshly grated Parmesan cheese! Have fun experimenting. Mix chopped lemon peel, garlic powder, pepper, oregano, thyme, Parmesan cheese, and salt in a small bowl until well blended. Decant into a jar with a tight-fitting lid and store in the refrigerator up to 2 months.